This week the tour players are in Scotland, Muirfield to be exact. They play golf there all the time, cool weather doesn’t stop them, and it is daylight from about 5:00 a.m. to 10:00 p.m. this time of year, so there is no shortage of time. 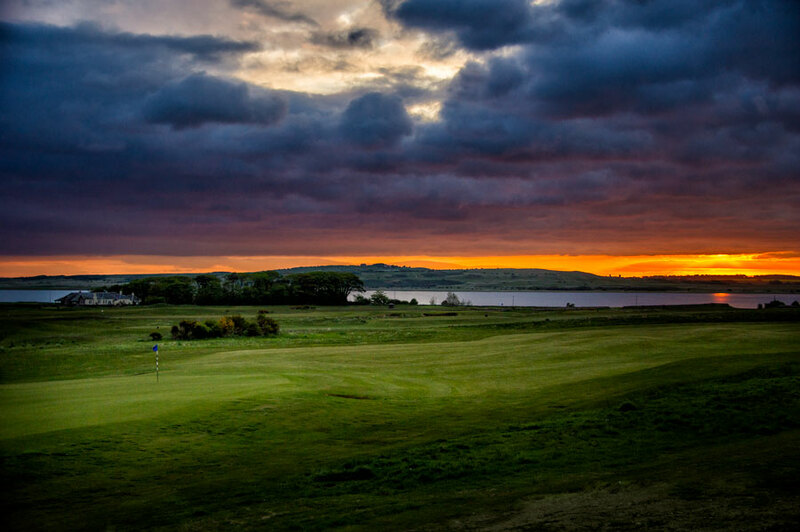 Contrary to the television advertisements, there are lots of golf courses in Scotland. It was sort of a game for us, who could find the next golf course when we were on the train on in the car. There are so many great things everyone will get to enjoy. I’ve included photographs below of some of the ones that come quickly to mind. First is Iron Bru, the #1 selling soda in Scotland. It contains caffeine, my first question, it’s sweet, but a little bit bitter too. But I went for a coke. Beer is serious business to the Scotts. They always present it in the proper glass, and they don’t have the wimpy watered down light beer I’m used to. I enjoyed their beers, they have lovely flavors, but they are definitely strong! Loved your Scotland golf story. My wife, Eileen and I went there. Discovered Glenmorangie scotch and had our Scottish heritage done. She is a Stewart, thus unicorns, beautiful flowers and setting. I am a Cameron, naked barbarian with a club in his hand. Only cost us a small fortune to discover our ancient heritage. Advice: play a lot of golf, drink the beer and the scotch, beware discovering your heritage. Your are too funny Joe. Thanks for the great story, and imagery.